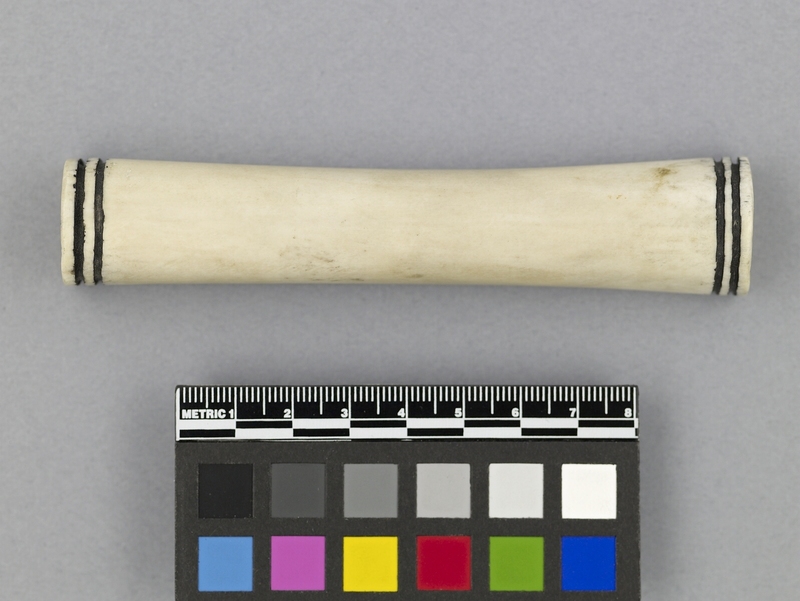 Item number A2.344 from the MOA: University of British Columbia. 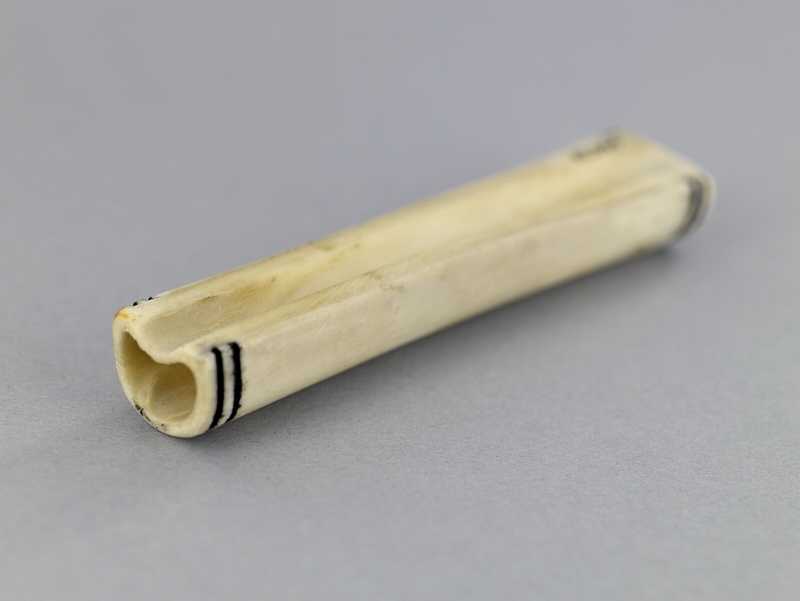 Ivory-coloured hollow tube-like case with two bands of black at each end. Both ends are open.